Brainware Group of Institutions is a member of National Digital Library. MHRD, Govt. 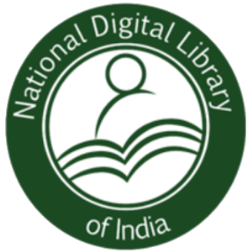 of India under its National Mission on Education through Information and Communication Technology, in association with IIT, Kharagpur, has formed the National Digital Library (NDL) project to develop a digital repository of learning resources with a single-window search facility. 1. Digital learning materials ranging from primary to post-graduate levels. 2. Information can be personalized based on the education level, choice of language, difficulty level, media of content and such other factors. 3. NDL hosts contents from multiple subject domains like Technology, Science, Humanities, Agriculture and others. 4. NDL has more than 60 types of learning resources - books, articles, manuscripts, video lectures, thesis, etc. 5. Resources on more than 70 languages. 6. Contents from different Indian Institutional Repositories.